Today's Christmas so... Merry Christmas/ happy holidays everyone! As 2016 is right around the corner, it's yet again an end to another year in anime. This is going to be my last post before the new years so why not have a little bit of fun and do a top 10 list of what I think were the best anime of 2015. Let me just say that this year in anime I thought was pretty strong, with summer 2015 being a very solid cycle. So it was very very hard to dwindle a lot of anime I've watched in the 2015 cycle down to 10. With all of my top 10 lists, theses lists are just based on personal opinion and nothing else. If you don't see an anime that you feel should be a top 10 of 2015, leave it down in the comment section below! Or better yet please leave your top 10 anime in the comment section. Now please enjoy MY top 10 anime of 2015. I had to fit a romance/ shoujo somewhere on this list and it was hard choosing one, in the end I chose Yamada and the 7 Witches. Just an all around good and funny anime. Yea the plot may have been executed bad at times but you can't say the anime was not funny, since I found myself laughing out loud at times! All hail Yamada! What do you get when you put a couple of basketball players with superhuman talents in a court? You get Kuroko no Basket! I'm not the biggest NBA fan, but give me Kuroko no Basket and I'll watch. Of course Kuroko no Basket is not realistic, but it's the fact that they have these "superpowers" that make watching basketball matches in Kuroko no Basket so intense. I loved watching the basketball matches, it was kind of like watching two super saiyans go at it on the court when teams had a generation of miracle against each other. 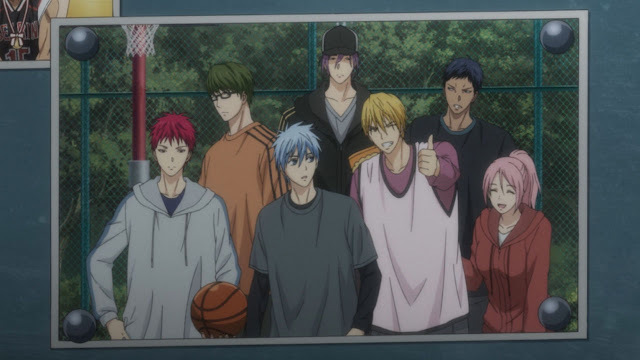 Sadly this year with it's third season, Kuroko no Basket came to an end... but with a happy conclusion. There needs to be more sports anime like this! 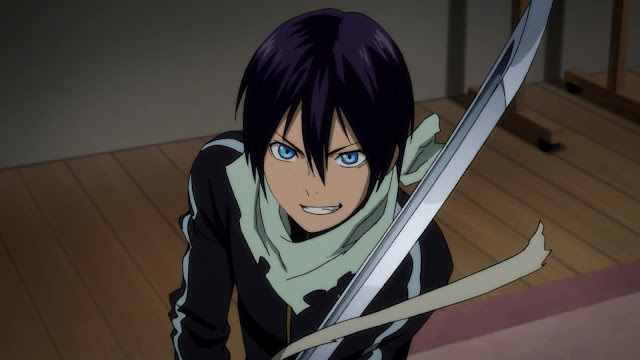 How could I leave Noragami out of my top 10 anime of 2015? I mean really, does anyone actually hate Noragami? If you've seen the first season you will love Noragami Aragoto. Bishamon becomes one of the main focuses of Aragoto, and to say she's not interesting is an insult to her character. In short: Noragami Aragoto is just simply amazing. Food is my ultimate weakness, and as a food connoisseur when I heard that Shokugeki no Soma would be getting an adaptation, I was so hyped. I haven't seen an anime based around food, nor have I really heard of one. But I'm glad Shokugeki no Soma was the first food-based anime I've seen and it did not disappoint. The dishes presented in the anime had my stomach growling. 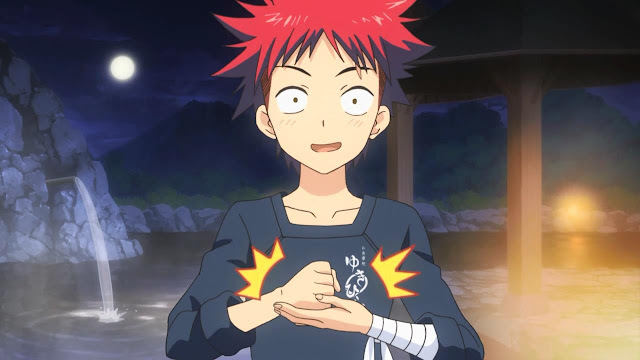 Good humour, animation, and having an out of the norm genre adaptation makes Shokugeki no Soma special for 2015. 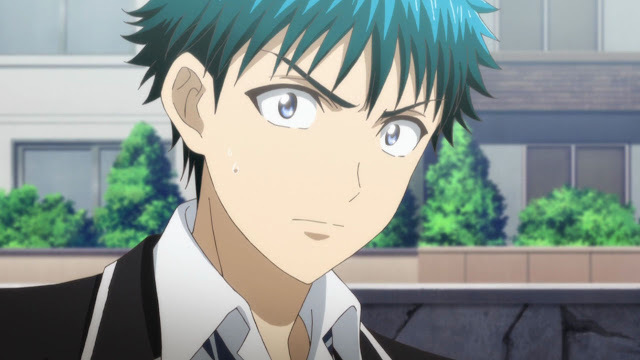 And who can't forget about Soma? He's the best. Funniest anime I've seen in a long time. 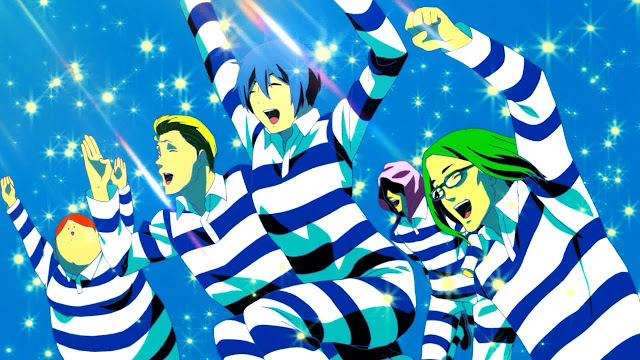 If you're into sexual humour, you will LOVE Prison School; otherwise stay away. Prison School gets placed into my top 10 list of 2015 since I haven't seen an anime this laugh out loud funny since Detroit Metal City. It's just so fabulous. It's over, Wagnaria is unfortunately over. Also known as Working, one of the best slice of life anime out there- it's a slice of life done real good. The weirdest of personalities placed within the corners of a diner, and somehow magic is made. 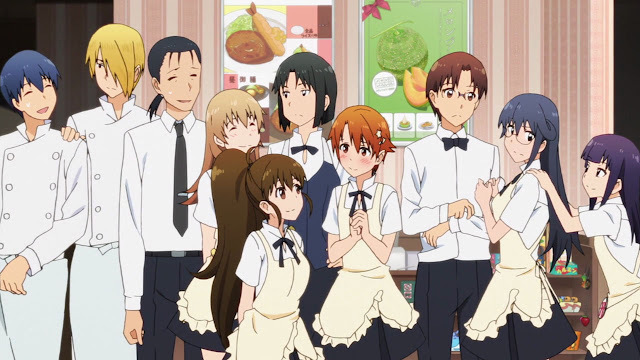 Want to know why Wagnaria got three seasons? Then start watching from season one and you'll see so for yourself! I feel sad of underrated anime, Sidonia no Kishi falls into that category. Daikyuu Wakusei Seneki is the sequel to Sidonia no Kishi but I doubt many people watched it since the first season was not that popular. Maybe it was because not many people like space anime? Or was it because of the animation that turned people off? The first time I laid my eyes on Sidonia no Kishi, I was overwhelmed by the CG. Overtime my tastebuds changed for the CG and I fell in love with it. 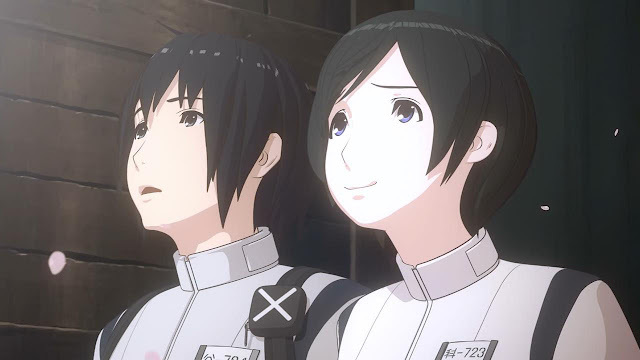 Sidonia no Kishi: Daikyuu Wakusei Seneki is one of those hidden gems of 2015. The unique form of animation and the mysterious yet interesting story following Sidonia and it's people made me gravitate around the anime. Sidnoia needs more attention. Do yourself a favour and watch it. Death Parade was quite the popular pick in 2015. The storytelling of Death Parade was kind of like how Darker than Black was structured, though I think Death Parade made better use of it. 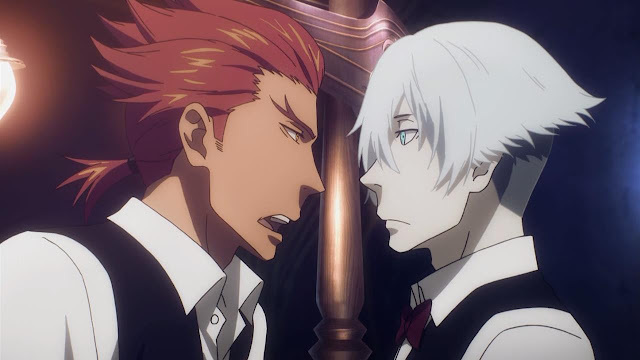 The idea of two individuals meeting with people like Decim who tests people and decides which of the two "deceased" individuals get to go to the void or get reincarnated through these intense "games" made Death Parade an interesting watch. Death Parade was calm, relaxing yet at the same time very intense and at times maybe a bit emotional to watch. Death Parade is for sure one of my standout anime of 2015. If you have never heard of the Type-Moon franchise then I guess you live under a rock. Fate/Stay Night:Unlimited Blade Words 2nd Season was one of the best of 2015. It was pure eye candy and bravo to ufotable for bringing this route to life. The story is quite complex and if you want to understand this series go do some reaseach. But come on. I'm sure everyone knows the Fate series. Archer and Rin remain my favourites- do tell me your favourite servant in the comments section. Could you really be surprised that I chose One Punch Man as my top pick for 2015? I mean who doesn't love One Punch Man. Yea it maybe hyped but I feel like the hyped lived up to it's expectations, unlike hyped anime like SAO, but I'm not pointing any fingers. I've seen people analyze One Punch Man as though it's some sort of biblical scripture meant for some deep interpretation; I on the other hand was not that type of viewer. Here's why One Punch Man was successful and why many people (including me) loved it: the title of the anime itself is embedded within the abilities of Saitama, and Saitama's personality is the antithesis of what we'd expect from a typical hero figure. That was pretty much the magic elixir to One Punch Man, anyone who went overboard and look the anime too seriously missed the boat. 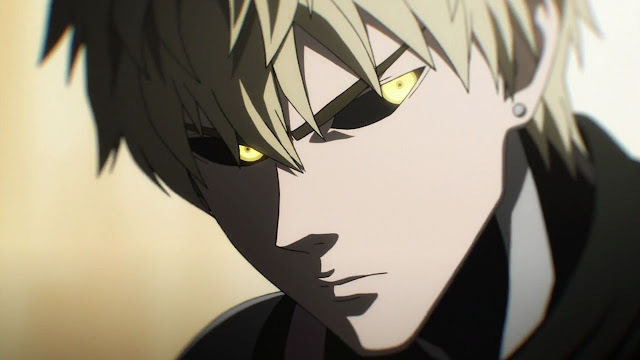 And sorry to the Saitama fans, Genos is my favourite! That's it for this list, there were so many good choices that could have made the top ten but I somehow put these 10 together. Here's a couple more anime from 2015 that I wanted to name but did not make it on the list but still deserve some attention: Aldnoah Zero 2, Assassination Classroom, Durarara x2 Shou, Durarara x2 Ten, Ore Monogatari, Yahari Ore no Seishun Love Comedy wa Machigatteiru Zoku, Akagami No Shirayukihime, Gangsta, Kamisama Hajimemashita◎, Charlotte, Haikyuu!! 2, Nisekoi:, Tokyo Ghoul √A, Shimoneta, Saenai Heroine no Sodate-kata, and Himouto! Umaru-chan. 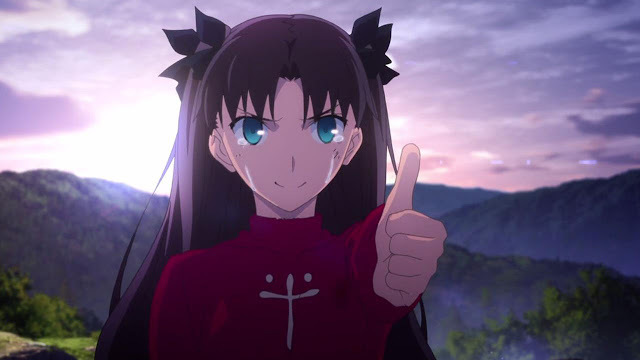 Anyways, thanks for reading- please comment down below some of your favourite anime from 2015 down below in the comments section. I hope you guys spend your holidays well and enjoy the new years. One Punch Man, Food wars/Shokugeki no Soma and Prison School. Are definitely 3 of 8 of the most Hilarious Action/Comedy anime this year. I agree, they were hilarious !